Following a premiere at the 1925 International Exposition of Modern Industrial and Decorative Arts in Paris, Art Deco became a flourishing global decorative style epitomizing luxury and glamor. Characterized by lavish ornamentation and bold geometric shapes, Art Deco reflected the decade of prosperity following WWI as rapid industrialization transformed the cultural landscape. Combining Machine Age imagery with traditional craft motifs, this eclectic style was soon reflected in all areas of design, including architecture, fashion, interiors, art, graphics, jewelry and even everyday household items. 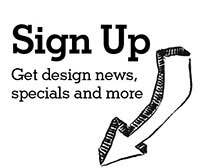 Here are some of our favorite designs that encapsulate Art Deco’s modern luxury. 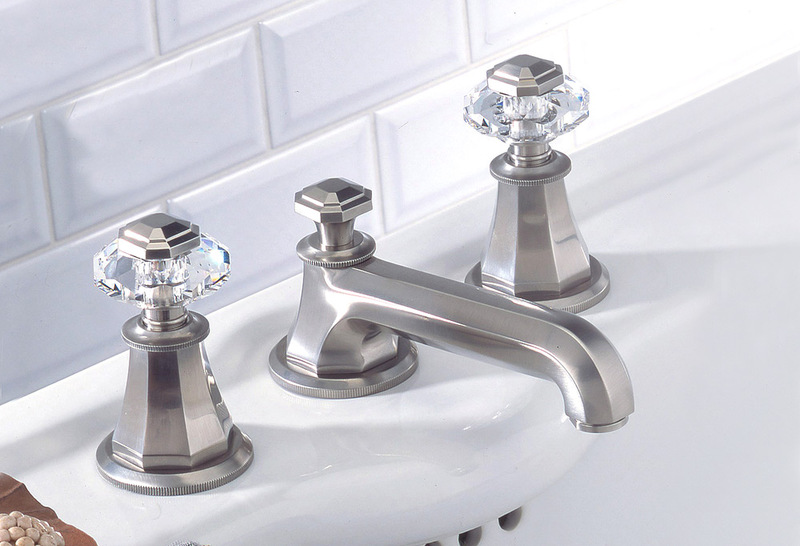 Featured above: THG – Art Deco With its incorporation of classical and neoclassical elements, THG’s Art Deco tap bears proof of the era’s inspired, streamlined elegance. Leading THG’s Traditionelle Collection, this versatile series could easily be found in a traditional or modern setting, all while drawing attention to its beautiful linear form. 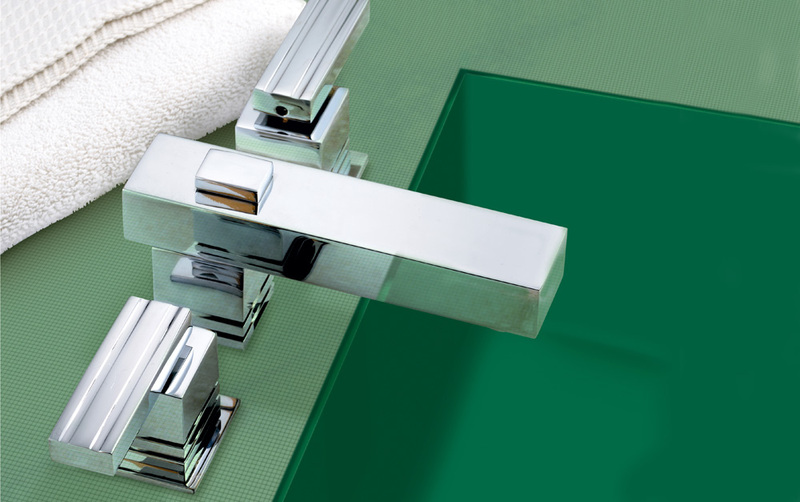 Offered as a basin set, Art Deco is also available as a Roman tub set, thermostatic valve, shower set, as well as a range of tub and shower accessories, robe hooks and towel bars. A powerful LED driver marries Albion’s twentieth century glamor with the energy-efficient technology of today. 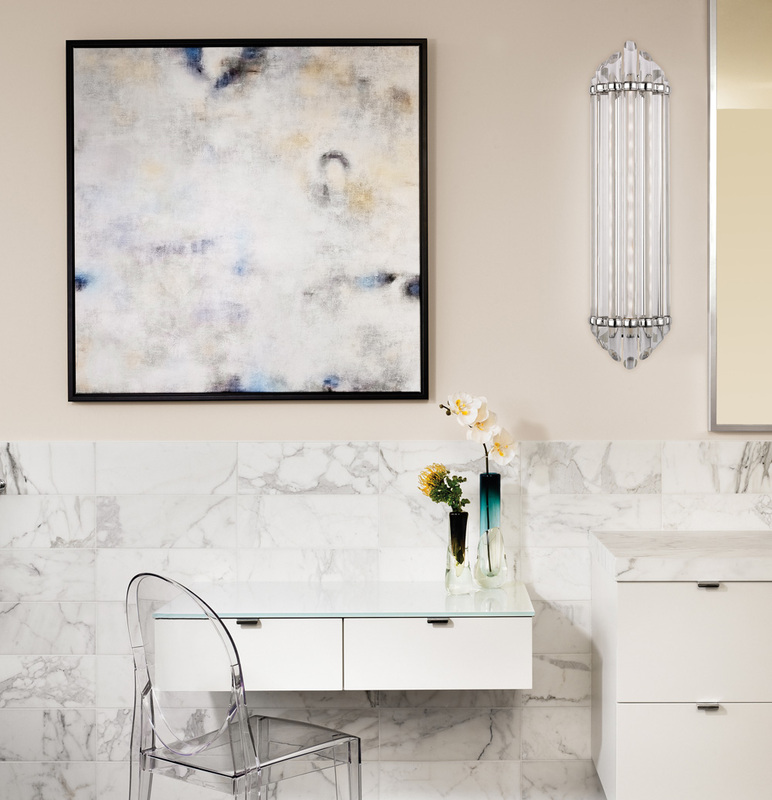 Fluted cast metalwork clasps the Albion LED sconce’s shimmering array of polished glass rods. The broad rods, beveled on each end, are arranged in tapering order before a frosted glass diffuser. 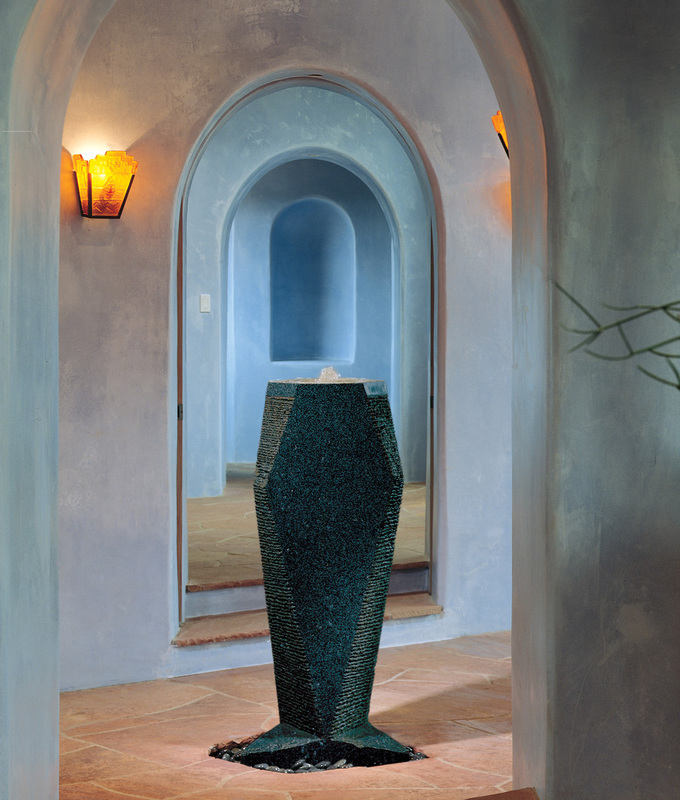 The sconce comes in two sizes and is available in aged brass and polished nickel finishes. Watermark Designs – Dania 96 Inspired by great architecture, the Dania collection is an eye-catching addition to the contemporary bath. Geometric and minimalist influences collide in this sleek design, resulting in a bold look that epitomizes modern luxury. Stone Forest – Diamond Fountain A geometric masterpiece sculpted out of polished black granite, the Diamond Fountain makes a bold statement. Saw-cut edges contrast the polished sides and add great movement to the water flow, creating a classic look and a relaxing ambiance. 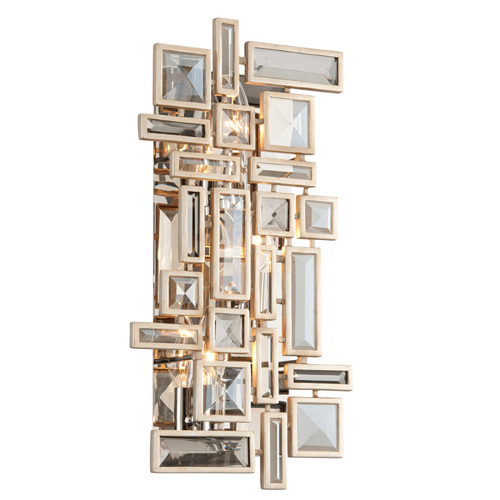 Corbett Lighting – Method sconce A delight for design aficionados seeking glamor with an edge, Corbett Lighting’s Method sconce is a mélange of squares combining clear and smoke crystals in a rectangular configuration. Approved for ADA-use, Method may be specified as a three- or two-light sconce.